RoyalEnfields.com: Royal Enfield cafe racer: The line forms in the U.S.
Royal Enfield cafe racer: The line forms in the U.S.
Royal Enfield's cafe racer is due in 2013. Excited about the coming Royal Enfield cafe racer? You can't buy one yet, but you can get in line. 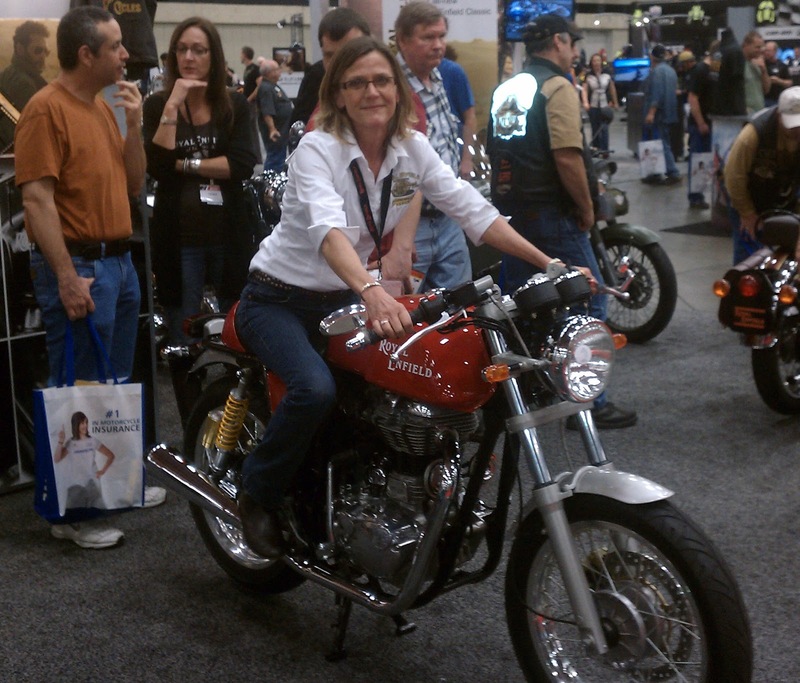 Dealer Royal Enfield of Fort Worth is taking names of customers interested in purchasing the motorcycle when it arrives in 2013. The online form cautions that "this form does not guarantee you a bike, but it does reserve a spot in line!" The dealer refers to the cafe racer as a "limited edition." 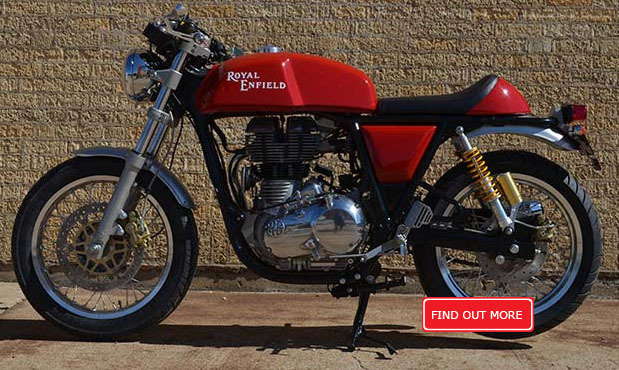 High demand for Royal Enfields in India probably qualifies almost any new model as a limited edition, since there will not initially be enough to go around. Even record setting production hasn't met demand, and construction of a second factory is planned. In the United States, where Royal Enfield is far less well known, the supply of cafe racers may be adequate. Or it might not. Want one? There's no harm getting in line early. Contact your dealer. Cafe racer with approving audience. I've been waiting for something like this to buy a Royal Enfield. Finally! If a cafe racer, can it go faster than 65? Still nothing great and the weak little engine remains in place. Even the new EFI-engine is not even remotely close to other 21st century developments. If Enfield wants to do more than just selling in India, the next change needs to show a little bit more creativity - what about a new series of J models or a new interceptor?